It was so strong It's health bar didn't even show up. 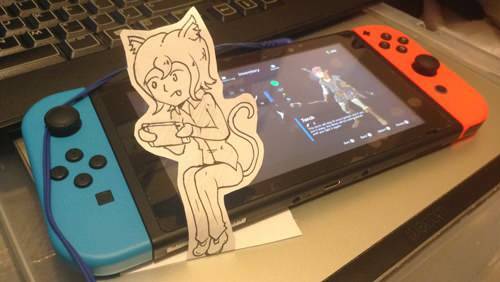 Also Yes, I got myself a Switch now~. Expect Breath of the Wild and Splatoon 2 comics over the next couple weeks. @slaybay: It would cost him the other ear tip.